There will be a Gingerbread Castle display in front of the Abe Miller Building at 4912 53rd Street come the weekend. YKACL clients and staff worked with theatrical set designer Mackenzie Miller to create the display and it will be ready for an audience before the weekend. The Gingerbread Castle will be illuminated by colourful ice candles made by members of the YKACL Youth Employment Services Group. The light display wraps around the willow sculptures created by artist Rosanna Strong with help from YKACL clients and members of the public over the past two summers. YKACL provides lifelong support for individuals with disabilities and their families. 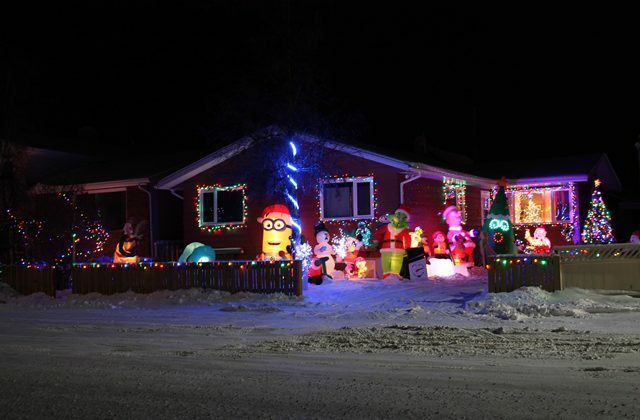 The Association entered the Gingerbread Castle display in the 2018 City of Yellowknife Christmas Lights Competition, which takes place early next week.